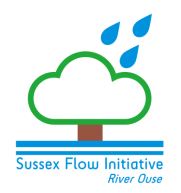 Without our amazing volunteers the Sussex Flow Initiative couldn't have come this far. If you would like to help us reduce flood risk, are interested in getting some experience of Natural Flood Management, habitat restoration/creation, or simply want an excuse to spend some more time outdoors, we would love to hear from you. See the calendar below for details of our upcoming volunteer days, and please use the contact us page to register your interest.